At Disney we like dressing up for Halloween as much as anyone. After all, why should kids have all the fun at Halloween? If you’ve been secretly wishing you could be a Disney Character for some trick-or-treat fun, you’ll now be able to be one with new role-play costumes for adults available from Disney Store and DisneyStore.com; plus, you’ll save 10% on select merchandise purchases by using your Disney® Visa® Card.1 You’ll also find a great selection of costumes your kids won’t want to take off – even after the trick-or-treating is done! Note: Because of their popularity, some items might become unavailable. Fear not! 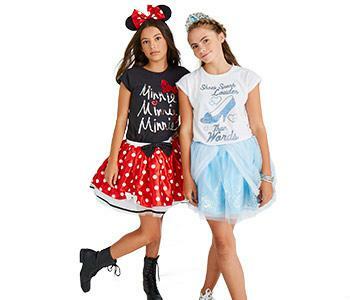 Visit Disney Store or DisneyStore.com to find other items for your Halloween fun. 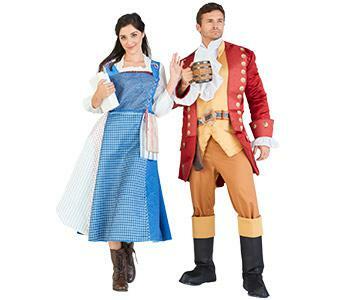 Look as pretty as Belle in her dainty blue village dress and have Dad dress as that cad, Gaston. Sold only at DisneyStore.com. Tweens will feel flirty and fashionable in an adorable tutu with headband. Other character tutus also available. 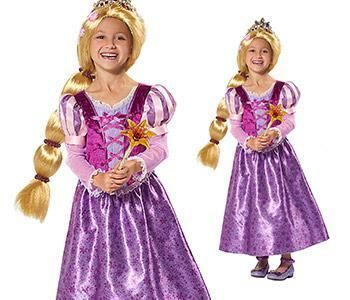 Enchant your little princess with a shimmering, lavishly-detailed Rapunzel costume. Braided wig and tiara sold separately. 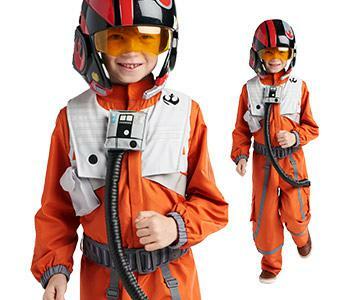 Transform your trickster into the Resistance’s top pilot, Poe Dameron, in a detailed Star Wars™ flight suit with attached vest and chest box, plus helmet. Adventure awaits your young buccaneer! Costume includes long coat with belt, ruffled shirt insert, pants and boot covers with faux buckles. 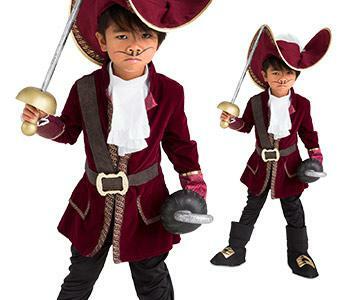 Hook, hat and sword sold separately. 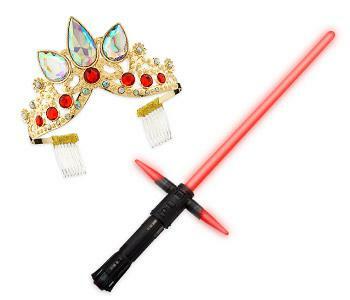 What’s a gown without shoes, tiaras, or wand or Kylo Ren without his lightsaber? Accessories add the finishing touch to every costume. So cool, it’s bad! 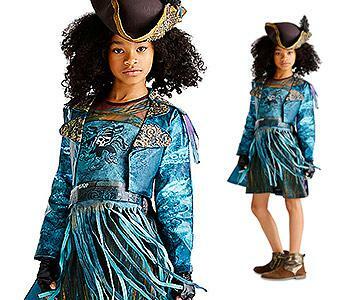 Our new costume for Uma, Ursula’s daughter from Descendants 2, makes waves with a shimmery coat, fringed skirt and shoe covers. Hat with attached braided wig sold separately. Fabulousness never looked so good! 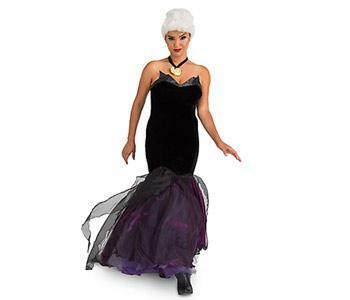 Transform yourself into the villainous sea witch from The Little Mermaid in this glamorous Ursula costume that comes complete with white wig. Sold only at DisneyStore.com.